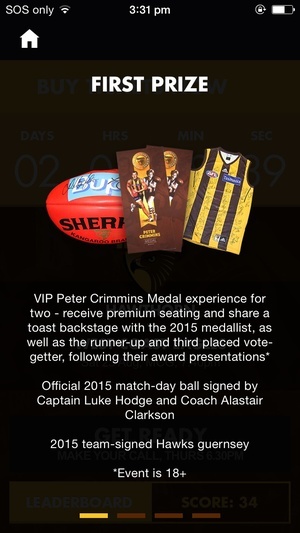 The 2015 version of Hawks comes with exciting additions such as Weekly prizes, Previous Round recap and much more! 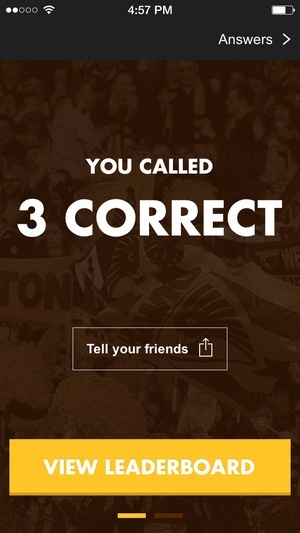 Hawks lets you make prediction calls on upcoming Hawks matches. Each Round, poses three new or questions, along with a fourth slider question. Example questions Will Isaac Smith kick a goal? Will Jordan Lewis gather 25 disposals or more? 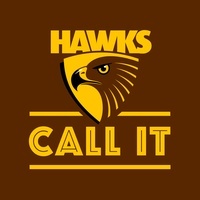 Will James Frawley have 4 spoils or more? 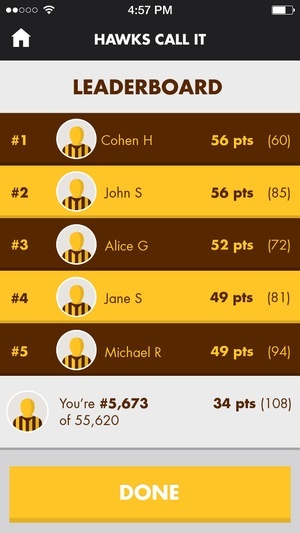 Make the right call to climb the leaderboard and be in the running to win fantastic Hawks prizes. 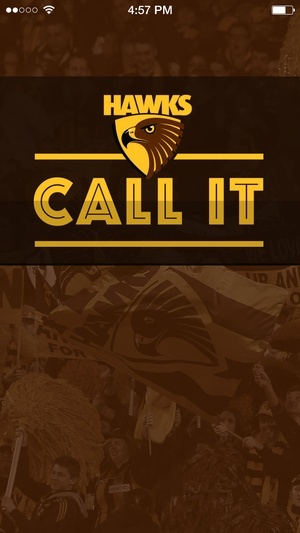 Check these links to find your download for Hawks CALL IT for & iOS or for your device iPod TouchiPadiPhone. The app Hawks CALL IT is compatible with te following devices.